TMNE players are taught the basic principles of the game at the 9U & 10U age groups. 11U & 12U players explore advanced development concepts including leading and stealing, among other concepts. 13U & 14U age groups, train to earn high school roster spots for their respective schools. Ultimately they will prepare for the college process. All members of the 2017 TMNE rosters will receive some of the best baseball development around. 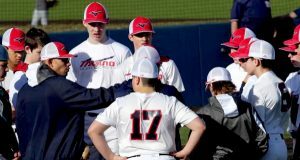 For over 25 years, the program has demonstrated the ability to develop and place players on varsity high school baseball teams. In addition, players have also been placed on college and the professional baseball teams. 2017 Team Mizuno Northeast Tryouts will give new prospective players outside the program opportunity to join the most premier program in New England.